Anyone who knows me knows that I know health is not just what you put in to your body, what you do with your body, or what and how you think….it is ALL of those things….! 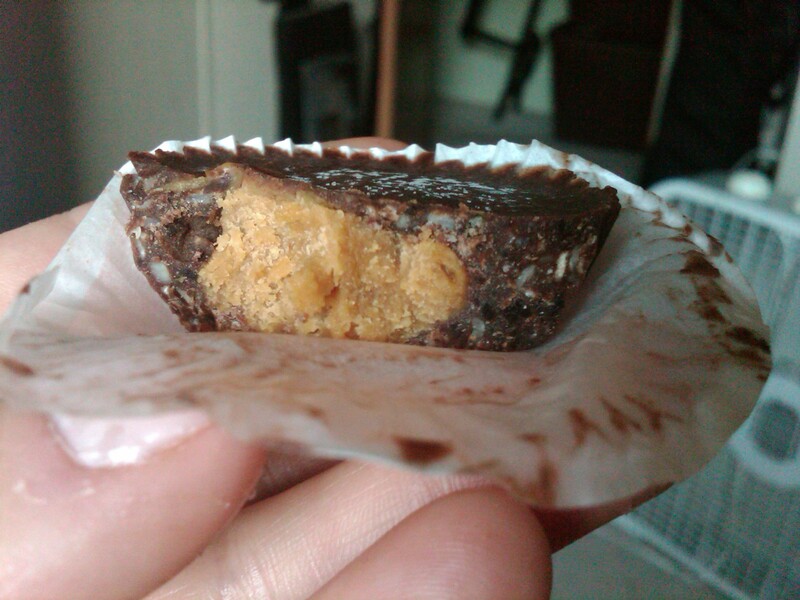 So, while the title of this post may seem to be just food-oriented, I assure you, it’s not. So, here’s the deal: what did I learn during the Daniel Fast? Well, I DIDN’T learn a whole new way of eating, as I pretty much eat that way already, most of the time (but I am sure that for others, it is QUITE a change from their normal fare, and I encourage you to give it a try!!! 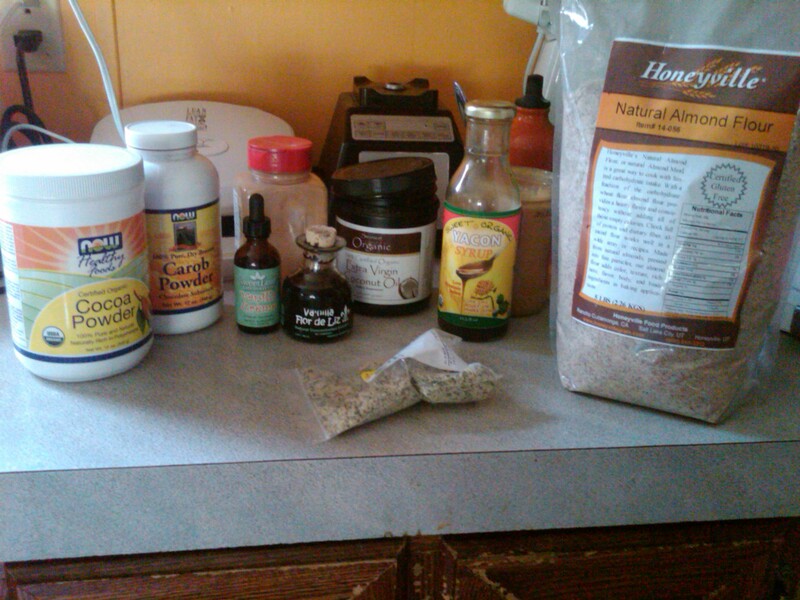 )…THOUGH, I did have some lovely reminders and re-connections with the natural taste of a few foods (whom I had been abusing with extra sweeteners, etc)…and I DID gain some new and wonderful recipes, for sure!!! I DIDN’T learn that eating well takes planning, since I am fairly used to that, as well…but I DID learn to incorporate that planning time as a Form of My Worship of My Lord, by dedicating that time to Him and offering that sacrifice of time to Him and communing with Him in the process! Truly, the MAIN thing I feel I learned (and re-learned and re-confirmed), are two practical things that God spoke to my heart “many moons” ago, and somewhere along the way, I let those good habits go…and whenever I do, it causes problems. 2. Not eating late at night…when I do that, it’s like all systems go, no holds barred, “what is full?”…as if my stomach sensors are actually turned off. And then, weird bits of common sense pop into my head like, “well, you can’t go to sleep after you’ve eaten, or you’ll get acid reflux, so you better stay up longer”, but at that time, I am super-tired because of the hour and because my body is using up all the energy I might have had by eating 4 times as much food as I needed, so what do I do in response? Eat more to stay awake. WHAT?!?! So for me, God used the Daniel fast as a way of reconnecting, with Him, with others, and with myself…I made a list of folks and issues I wanted to pray for specifically throughout the fast, as well as hearing from my Big Papa again about what I needed to focus on most (stillness, intention, not the food itself so much) for change to happen…I think it was Joyce Meyer who said once in a sermon, something about when hearing from God, if it has been awhile since God said anything to you on a particular subject, go back to the last thing He said….well, there ya’ go. Something you may or may not know about me is that I lived in Italy for a little while over a decade ago, and from that time in my life, I learned in a truly experiential way what it is to SAVOR LIFE. SAVOR EVERYTHING. Take it slowly, breathe, chew slowly, sip, love big, laugh loudly, and when in doubt, or just because you can, USE YOUR HANDS IN A LARGE MOTION…=-) In some ways, Italians are so big….big with their hands, big with their voices, big with their emotions and love, big with their families…but they are “small” in getting wrapped up in the to-do lists, the time-frame, the things that our American society deems most important…at least this was my experience in my family. We have heard for years how the Mediterranean Diet is so healthy for the heart, among other things, and I would agree…but it is definitely NOT just about the food. It’s the attitude towards everything in our lives, and upon what we place the most importance. Since the release of both the book and movie, “Eat, Pray, Love”, many more people are now familiar with the Italian phrase Dolce Far Niente: the sweetness of doing nothing. It is SO TRUE. Such an apt phrase to describe both something Italians hold dear, and quite frankly, something Our Lord calls us to do! There are so many times in the Bible where we are called to just be still, to spend time with our God, to listen, to be quieted by His love…so many times in which we are told of Jesus separating himself from the multitudes or his disciples for a little quiet time…with Himself, and with His Father. It’s not selfish, people. It is necessary, it is rewarding, and it is part of our purpose. I could go on, and on, and on about that subject…one of my favorites, and yes, something I find hard to do as well (typical Type A, right here). So, let’s slow down and savor. Let’s find some good fuel, both Spiritual and Physical. 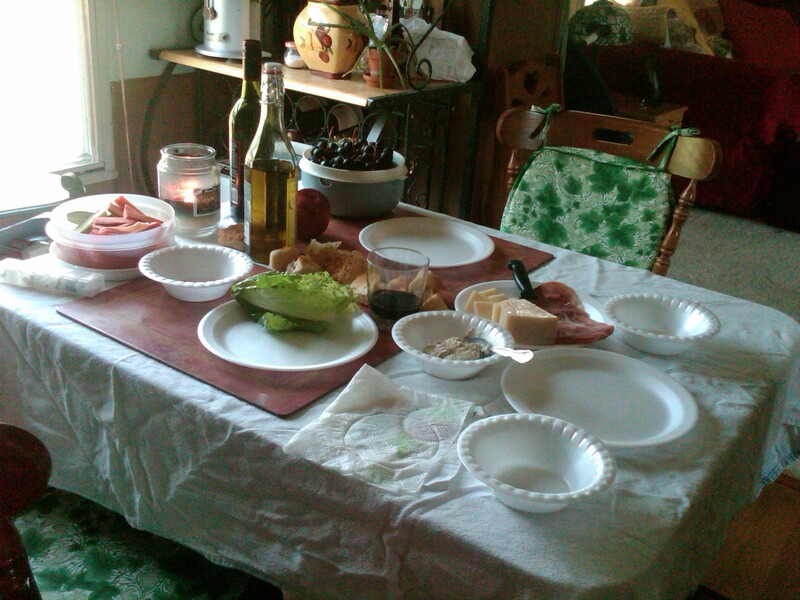 Our spread included homemade hummus, veggies, focaccia bread, parmesan cheese, prosciutto, grapes, and a little wine….we broke the bread into pieces onto the table just like my “Mama Guigi” does! It’s my favorite. 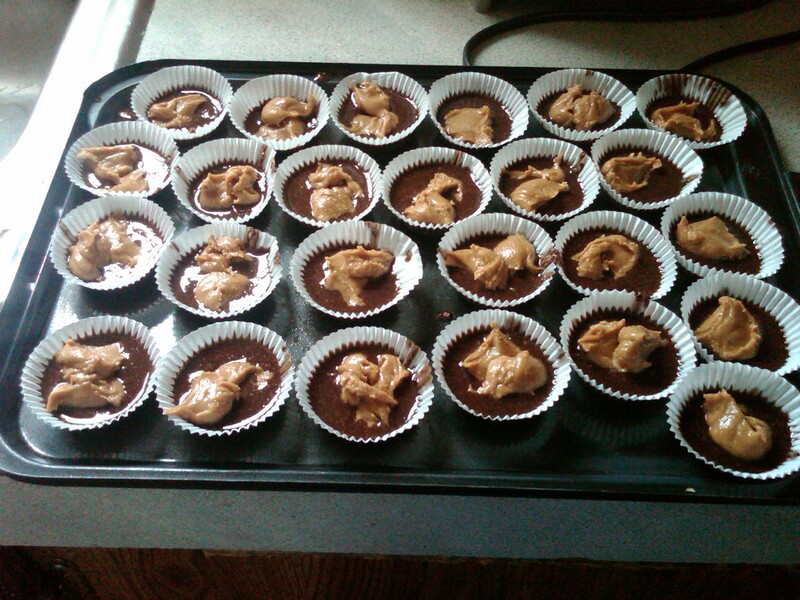 Later that same day, I made a WONDERFUL TREAT: all natural peanut butter cups! 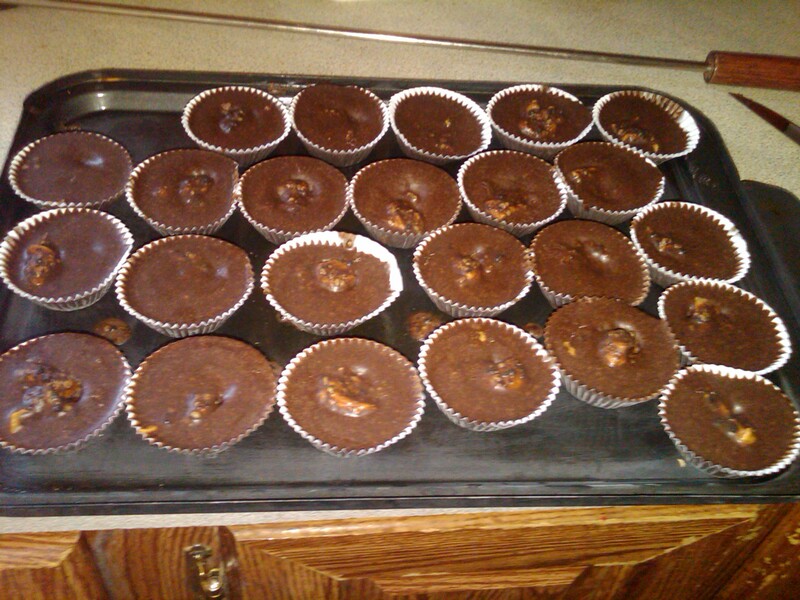 Low sugar, non-refined sugar, and vegan. The types of food we eat do matter. Now, we don’t need to be so restrictive that we end up making food an idol or spending our entire lives yo-yo dieting, but these little temples do house the Holy Spirit, and let’s face it…when you eat better, you feel better. I have heard numerous times that every 7 years, you have a whole new body (on the cellular level) than the one you had 7 years prior. So, right now I am building the body I want in one year, 2 years, etc…and in 7 years, I can look back and know that every cell has changed from today! 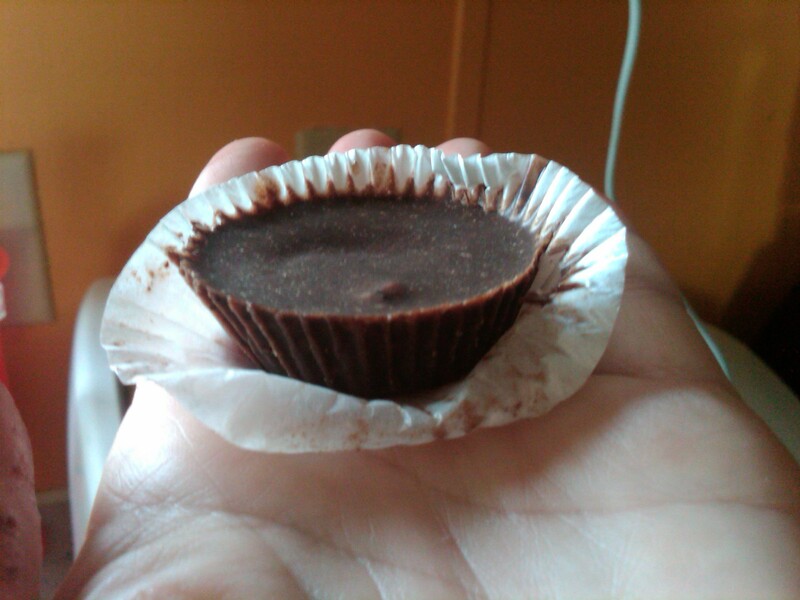 Instead of the “Stevia Plus Stevia”, I used Truvia (emptied the packets into my teaspoon measure). Instead of the agave nectar, I used Yakon Syrup…even BETTER for you than agave nectar. Low glycemic, and not as much (if any?) controversy over whether or not it has been cut with corn syrup like agave had. However, it is expensive and hard to find, so do not fret over the use of agave, and use whatever brand your store has…unless you already have Yakon. =-) I believe God honors our best efforts and protects us! 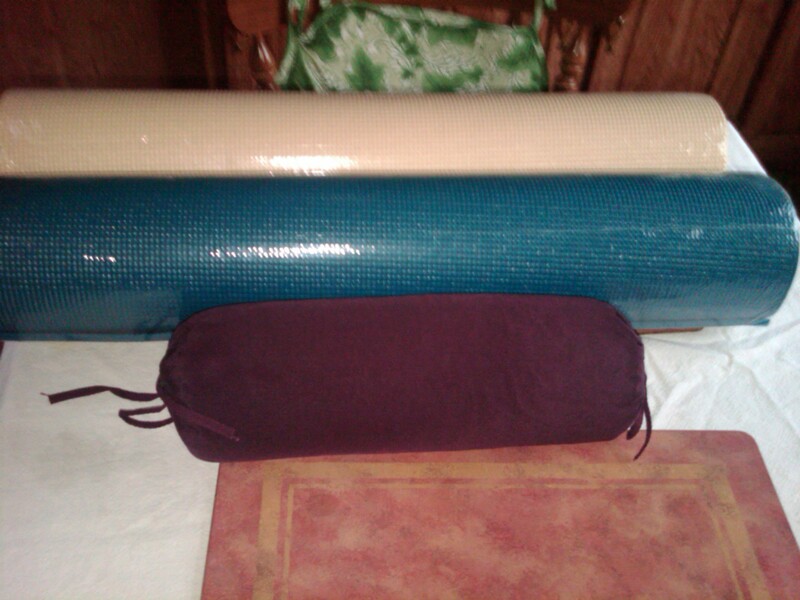 Yoga mats in Buttercup Yellow and Dark Teal, Neckroll in Eggplant; which would you choose?